Nothing makes me crave soup more than a cold day in December. 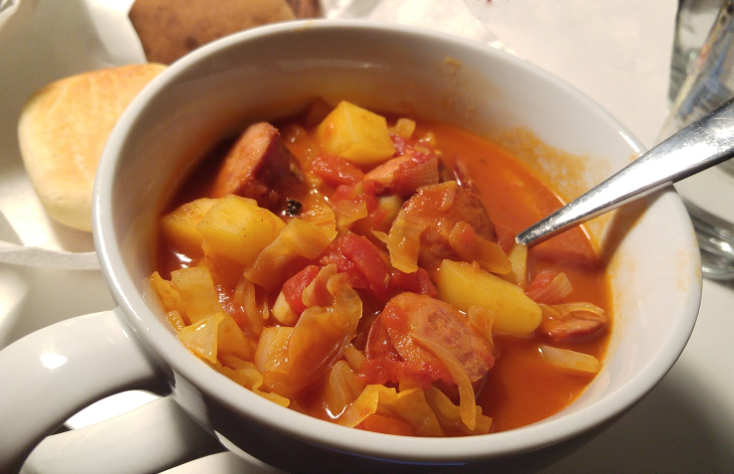 This stew is an excellent way to use up those not-so-new vegetables before they pass the point of no return! Saute sausage, scallions, and garlic in butter until scallions are translucent. Bring to a boil, reduce heat, and simmer for 45 minutes or until carrots are tender. Serve with rolls to sop up the yummy broth.